LIGHT MEDITATIONS & THE LATE SHOWS, Holy Biscuit, Newcastle. 7 pm - 11 pm. 'In October Lucy May Schofield started a year-long residency with VARC (Visual Arts in Rural Communities) at Highgreen, in a remote part of rural Northumberland. Light Meditations displays new work by the artist as she reaches the half-way point in her year. Northumberland has some of the darkest skies and visibly brightest stars and moon in the country. In these vast skies above the moorland landscape, the path of the sun, moon and stars tell us of the seasons’ passing. This has inspired Lucy to create key artworks that mark the Winter and Summer Solstices and the Spring and Autumn Equinox. Two of these pieces are shown here: The Last Light (made on the Winter Solstice, 21st December 2016 the shortest day of the year) and Awake (created to mark the Vernal Equinox in March). 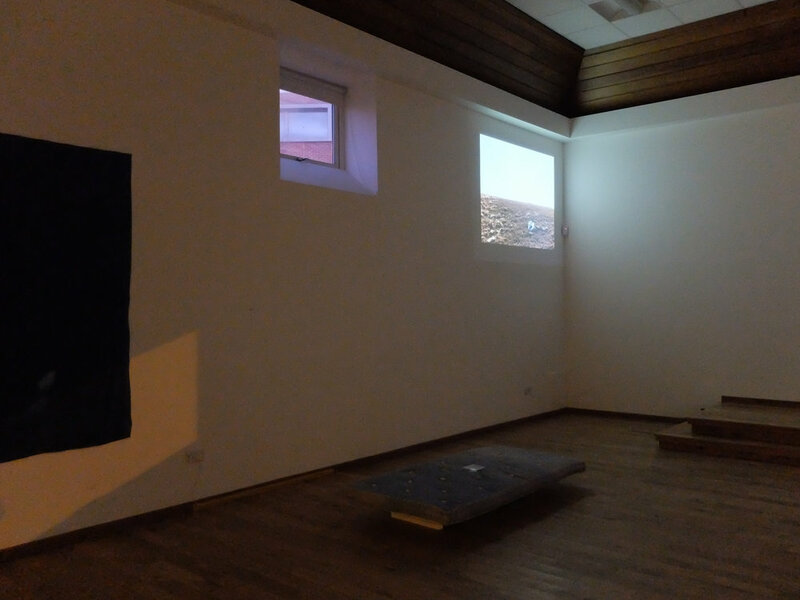 Both pieces have an important performance element and alongside the physical artworks in the gallery, short films documenting the process are also shown. A series of twenty-six (so far) carved wood-blocks and their prints are also on display. These are formed from a seasonal detail observed on one of the artist's daily walks and printed with water-based pigments onto hand-made paper. The Late Shows is a free late-night culture crawl in Newcastle and Gateshead on Friday 19 and Saturday 20 May 2017 Visit thelateshows.org to find out more about the other great culture venues you can visit for free over 19 & 20 May.